Lauren Johnson has promised it will be a “meaningful contest” on her homecoming to Wolverhampton next month. The city’s only active female professional boxer laces on the gloves for the third time as a pro at Starworks Warehouse on Saturday June 9. The venue was subject to a fire earlier this week but bosses are confident that the show will go ahead as planned. Johnson has outpointed Monika Antonik and Borislava Goronova so far, but injuries have led to a seven-month period on the sidelines. The 33-year-old had hoped to challenge for the Midlands welterweight title in March, but a knee problem put paid to that. Her and Nina Bradley would have made history, as women competing for a British Boxing Board of Control recognised area crown for the first time. That may not happen now, with talk of Bradley going down in weight for other opportunities. ‘The Black Widow’ Johnson, in the meantime, needs to get busy again. The former ABA national champion hasn’t had a belt strapped to her waist since winning the non-tournament England middleweight title as an amateur in March 2016. 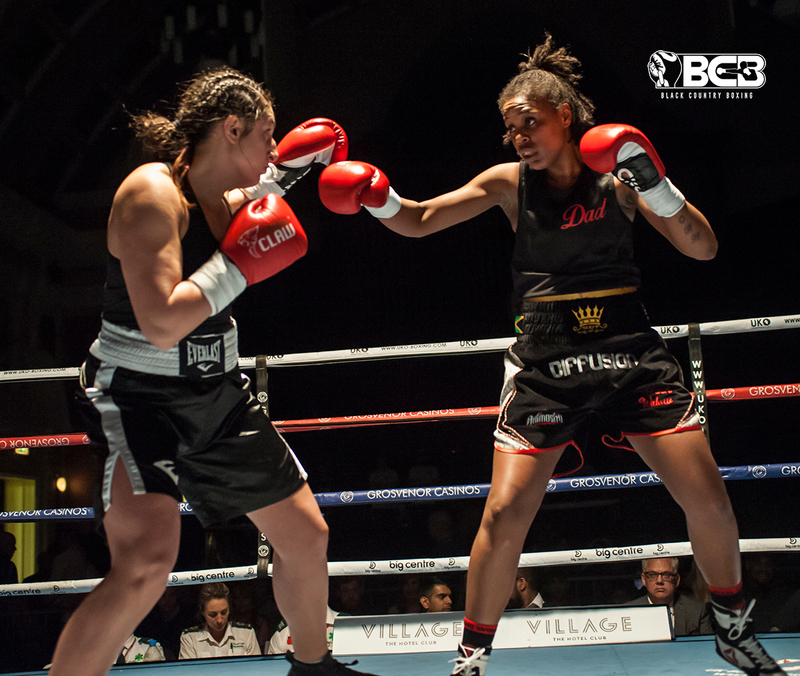 A crack at eight-round British Challenge honours or, at least, a six-rounder could await her at Starworks, which will be promoter Errol Johnson’s first BCB Boxing offering at the venue. Johnson said: “I’ve had a couple of journeywomen so far, two walks in the park really. I could have stepped on the gas for my debut and I was injured during the camp for the second one. “Nina has also been in with them both and we were hoping we might get the fight rescheduled with her for June 9. “Nina’s coach, Carl Greaves, is getting married around that time, so wouldn’t have been in her corner. It’s fair enough her not wanting to do that, she needs her trainer there. “We are still mandatory challengers for the Midlands title, so it’s not going anywhere. It doesn’t have to happen yet, but it needs to either come off eventually or we both move on. “There’s no one more frustrated than me, I’d have much preferred to be more active. Two fights a year isn’t good for me and I haven’t boxed in 2018, either. “My knee is much better now, I’ve got a proper team looking after me from physio through to nutrition, strength and conditioning. I’m running again, too. The Starworks bill will be topped by a 10-round battle for the English bantamweight title between Kyle Williams and defending champion Thomas Essomba. Another fighting out of Wolverhampton elsewhere on the card is Antony Woolery, with Polish powerhouse Damion Kiwior also based in the city. Former English super bantamweight champion and British title challenger Sean Davis, from Birmingham, and Walsall-based debutant Levi Ferguson complete the line-up. Tickets are on sale now, priced at £40, which will be £45 on the door. VIP ringside passes are £65. To buy, call Lauren directly on 07815 440 588 or contact her on Facebook.